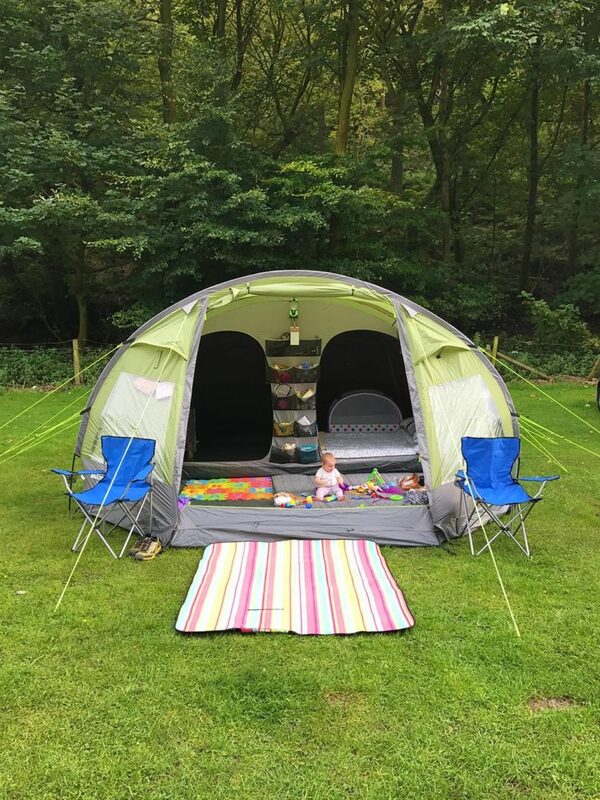 With the Peak District right on our doorstep, it seemed like the perfect place to go for our first proper camping trip as a family. Rolling green hills, plenty of challenging but accessible walks, country pubs, National Trust sites and only 25 miles from home if it all went horribly wrong. But it didn’t go horribly wrong – quite the opposite. Sure, the weather wasn’t great, but that is all part of the fun. 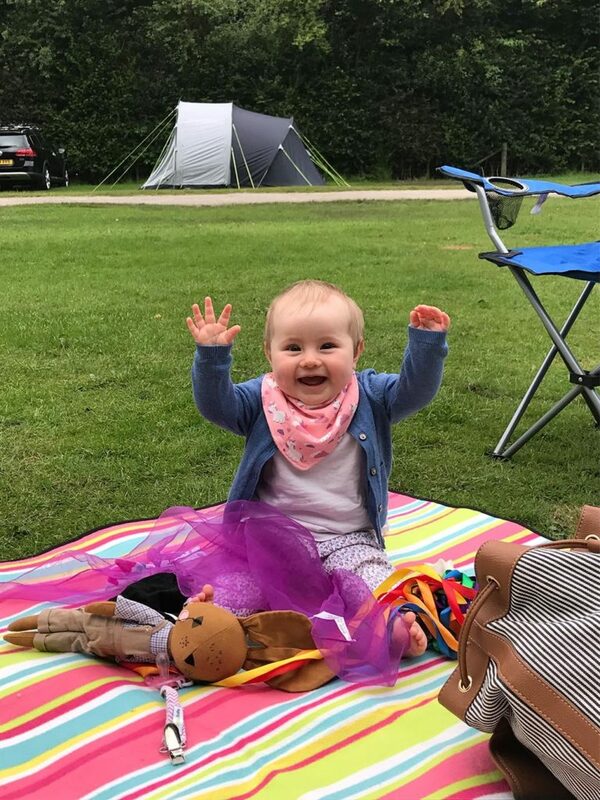 We saw some stunning scenery, walked for miles, ate some delicious food cooked right outside our tent and Avery just had the best time crawling around the tent and enjoying all the fresh air. We chose a great time to be in the area, as it was during the 2 weeks of the year when heather is in full bloom and you can see shades of purple sprawled across the hills in the distance. Part of the reason our first camping trip was so easy was because of the tent we had. We were sent a Eurohike Rydall 600 tent by Blacks to try out, with the challenge of seeing how quickly we could set it up. So, whilst Dave went ahead and did that, Avery and I sat on a blanket and “supervised”. The tent is spacious enough for 6 people to comfortably sleep, so is ideal for family camping trips. Even though it was only Dave, Avery and myself staying in the tent, we were soon able to fill it up with all the things we had brought. The divider that separates the two bedrooms is removable, making a large area to sleep and also a changing area. Along with the large, open living area and panoramic windows, it really felt like a home from home. With an area of 5×4.5m and a height of 2m, there was loads of room. It has a fully sewn-in ground sheet and just 3 colour-coded poles for quick and easy pitching. The bedrooms are darkened to reduce early morning light, and there is high and low ventilation to increase airflow. Anyone who travels with a baby knows you have to take LOTS of stuff! Even pre-baby, we never really packed light so the amount of things we take away with us now verges on the ridiculous! We’re even thinking of getting a bigger car to cope with our trips away! However, keeping things tidy in the tent was never a problem thanks to the huge amount of storage pockets. It meant we could keep things organised and also out of reach of a crawling baby. The Eurohike Rydal 600 had more than enough space for what we needed and as our family grows in the future, this tent will still continue to support our needs I think. I mean, there is only so much time that you spend inside the tent anyway, so as long as you have enough space to store your stuff and sleep, and somewhere to sit if the weather gets really bad, then it’s all good. We took plenty of Avery’s home comforts and she really did feel at home. Crawling all over the tent, and throwing her toys around. I think she thought we had just taken our living room outside. She sleeps so much better when we are camping too. She has her own little pop-up travel tent, which goes next to our airbed and it’s not unusual for her to sleep for 9 hours straight in it. At home, we are lucky if she sleeps 2 hours at a time. I know some hardened campers will look at our sleeping set up and think that isn’t real camping, but I think my days of sleeping on a hard cold floor when camping are way behind me. I need a little comfort in my life now. We had only just got the tent set up before it started to rain, so that was good timing. But we had planned to have a BBQ the first night and food for a BBQ as all we had. So, in true British style, we didn’t let the weather get in the way of that and we had a BBQ anyway. That is probably one of the only criticisms I have of the tent, that it didn’t have any kind of awning so we could have some rain cover whilst we were cooking outside. You can buy attachments, but they are nearly as expensive as the tents. But we saw lots of people with big awnings attached to their tents, so they stayed dry whilst being outside. Definitely something to invest in for next time. The rain didn’t really let up much that evening, so after a few beers we headed inside the tent for an early night. I love the sound of rain beating down on the tent (or a caravan) – it’s so soothing and quickly sends me to sleep. Even in August, it was a cold night, so I am glad we brought so much stuff with us to stay warm. Avery was nice and snuggly the whole time which was good. Even so, we woke up needing a warming breakfast in our belly, so we cooked up a big pot of porridge on the campaign stove. Served with fresh berries and chocolate syrup and of course a big mug of coffee. We were staying at Hayfield Camping and Caravanning Camp Site, which I would highly recommend to families, as it has great family friendly facilities and is pretty centrally located for exploring the area. For our first full day we thought we would ease ourselves in to it and just go for a walk to explore what Hayfield itself had to offer. Our campsite was right on the river, lined with lush green trees and makes for an easy walk. The excitement got too much for Avery, as she fell asleep in the hiking backpack pretty much straight away. Hayfield is a fairly small place, but really has everything you would need. A couple of pubs, some cafes, a chocolate shop, a chip shop and a small general store to stock up on essentials. The houses along the river are lovely, but they must be a serious flood risk. After a long walk, we did what anyone walking through the countryside does and that is head to the local pub. There was a pub right at the top of the hill of the campsite, so we headed there on the way back. Avery clearly loves a pub lunch – you just have to look at the expression on her face when ordering her lunch. She went for the tuna sandwich. A classic choice! Back at the tent we had a visitor. The night before we had realised that the campsite had a cat, or at least a local cat had wandered down, and I had been desperately trying to lure it towards out tent. Our tent was open for seconds before it jumped in and made itself at home on our bed. We named him Jeremy Roger Red Cat. He also thought he was going to stay for dinner, but when he realised we only had vegetarian sausages he made his way over to the tent next door who were cooking meat. His loss! The weather started to be a little kinder to us, so we made the most of it and headed to Mam Tor. We had driven past it many times on our way through the Peak District, but as we were so close it seemed a shame to not actually climb to the top of it. Mam Tor is a 517 metre high hill in the Peak District and it means “Mother Hill”. It got its name because of frequent landslides on the eastern face have resulted in lots of mini hills beneath it. It is not a particularly easy climb, but it is definitely doable. It’s doable, because I did it. I questioned whether to do it or not, thinking I just wasn’t fit enough, but it’s amazing what you can do when you have a bit of faith and tell yourself that you can do it. I am not very fit at the moment, probably the most unfit I have been for a few years, but we just took it slowly and the reward of the view from the top made it all worth it. It’s a really dog friendly walk, and there were plenty of kids climbing it too. So, if you are in the area as a family, give it a try! There is a National Trust car park at the bottom, and it’s about a 30 minute walk to the top – although I am sure that some people could do it much quicker. The viewpoint at Mam Tor stretches north over the Edale Valley to Kinder Scout and the Derwent Moors and on a clear day you really can see for miles. 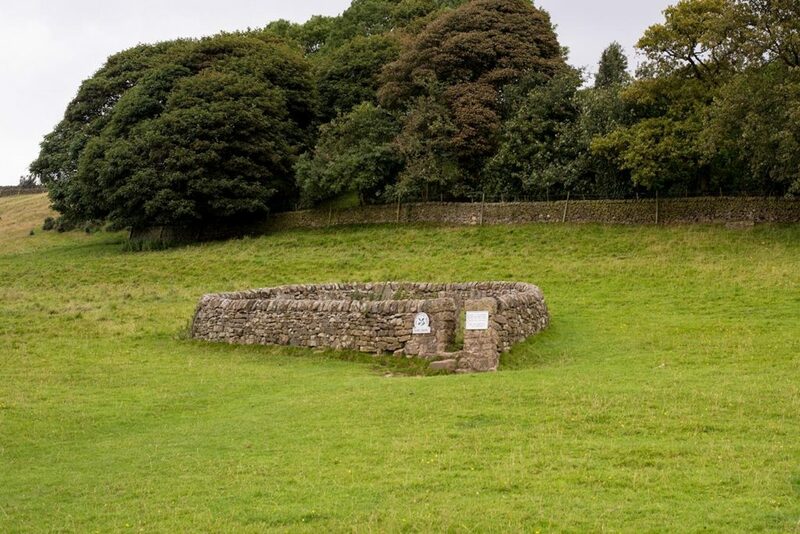 If you are looking for something else to do in the area, at the base of the Tor and nearby are four show caves: Blue John Cavern, Speedwell Cavern, Peak Cavern and Treak Cliff Cavern where lead, Blue John, fluorspar and other minerals were once mined. That was our final full day in the Peak District, so the next day it was time to pack everything up and head home. I really hate packing, but once everything was out of the tent and it the car, the tent itself was really easy to pack down. The hardest part was trying to fold it all up and get it back in to the bag, but then nothing ever goes back in to the bag it came in, does it! Before we left, Avery was my little sous chef as we made some scrambled eggs for breakfast. 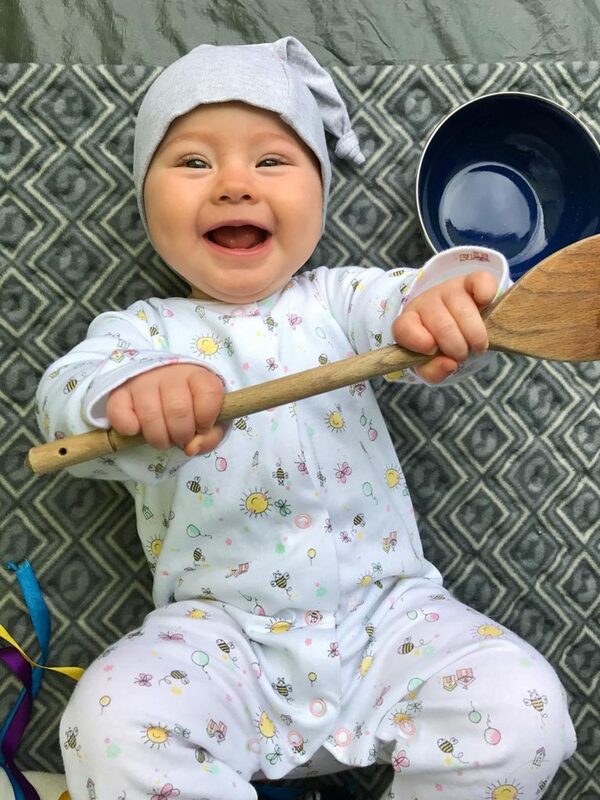 Let’s just say she focused on bashing the spoon on the bowls. But look at that face! 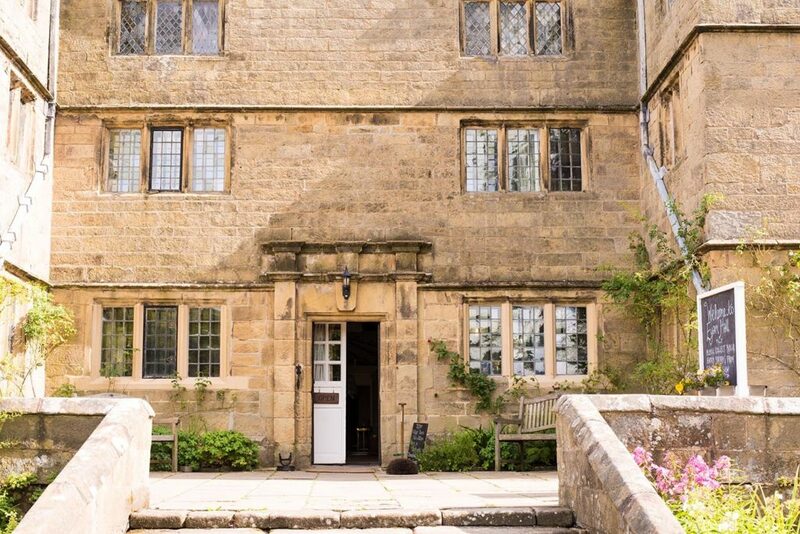 Before we left the Peak District, we went to Eyam Hall in the village of Eyam, which has a lot of history relating to the plague. I had heard of the village, but didn’t have a clue just how sad its history was. In 1665, the village was practically wiped out after an outbreak of the plague and rather than let it spread, the villagers isolated themselves. All deliveries were made to a location outside of town, so they didn’t have any contact with anyone else. 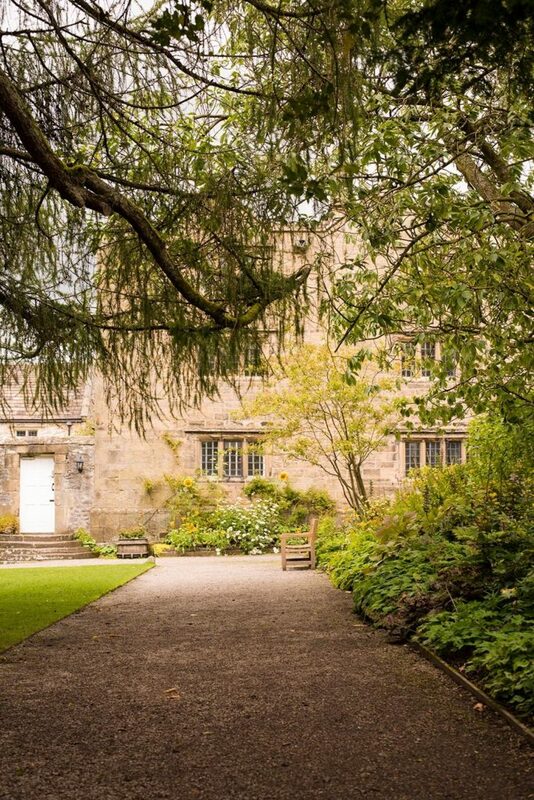 Eyam Hall is a Jacobean style manor house that was leased to the National Trust 5 years ago by the Wright Family. The Wright Family have owned it for 9 generations and at the end of this year, the National Trust move out and one of the Wright sons is moving back in. What I loved about this house is that inside everything is a bit random. In terms of furniture, each generation that has lived in there has added things, so there is a mix of old and new. I would love to see what is going to be done with it when the family move back in to it. 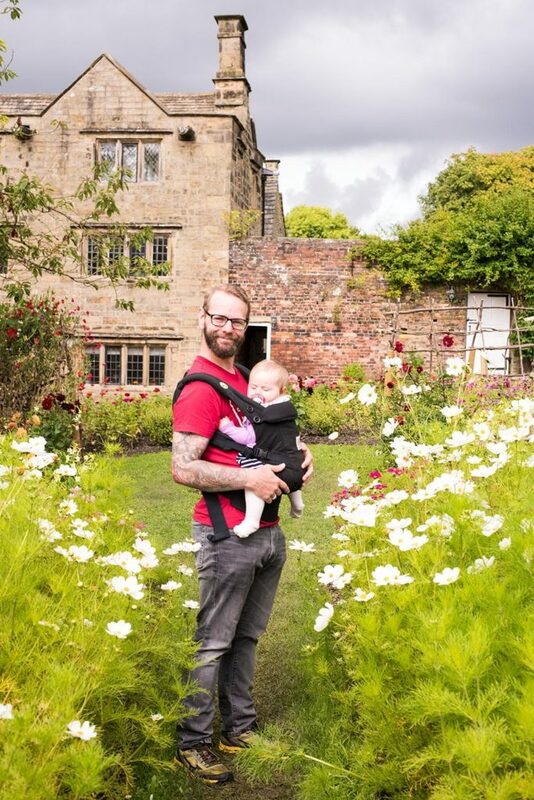 The gardens are just as beautiful as the house, but you would expect nothing less from a National Trust property. The end of our trip around the Peak District was a little sombre, but somewhere I am still glad we visited. 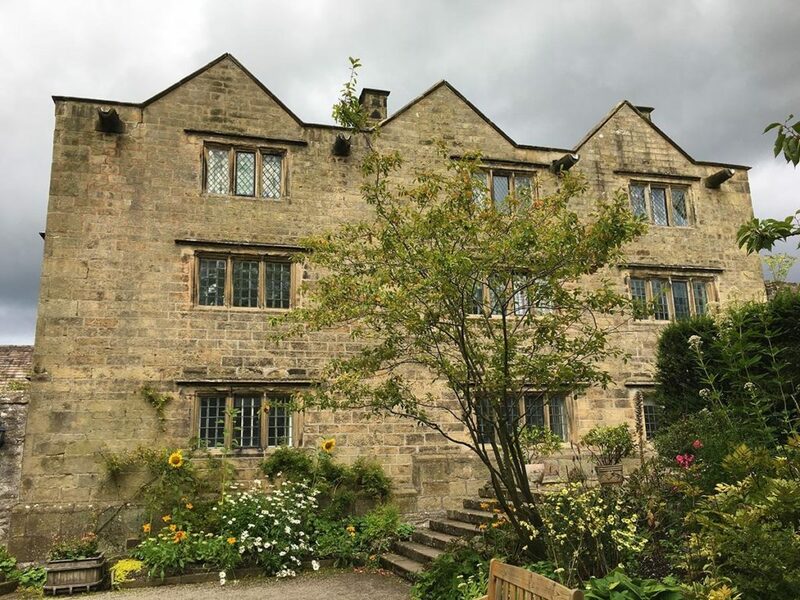 If you read anything about the sad history of Eyam, you will read about the Hancock family. Sadly, Elizabeth Hancock had to bury her husband and 6 children within an 8 day period, as they all died from the plague. But she never got it, and nobody knows why. 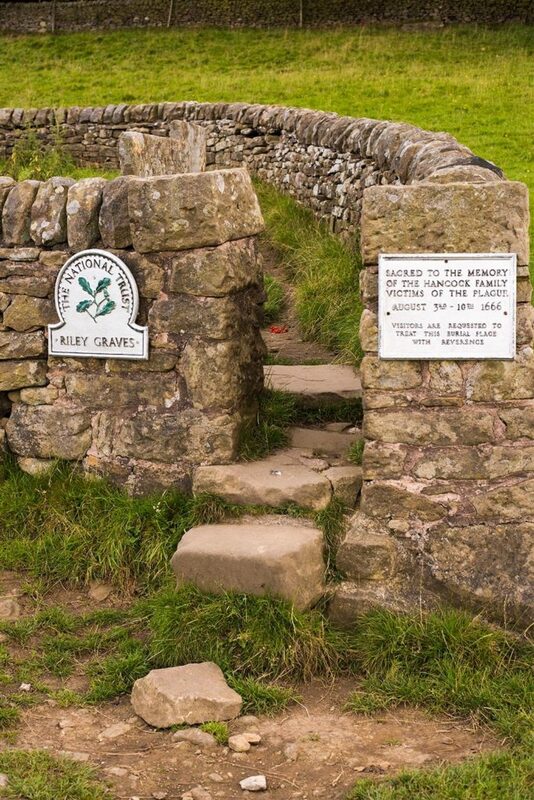 They were buried at a place called The Riley Graves (named after the farm that they lived on), and it’s a very eery place. 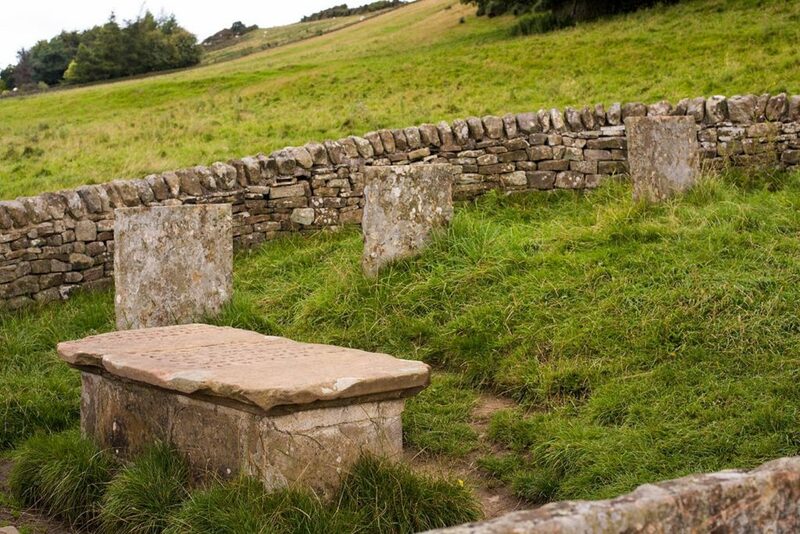 Marked as a National Trust place, it is not sign posted and sits in a field on the slope of a hill. Nothing there except 7 graves. Really sad, and kind of put in to perspective just how devastating the plague was to this village. I think the Peak District is a prime example of just how stunningly beautiful and dramatic the scenery in England is. Living in a city, everything has seem to chaotic, but you only have to drive a few miles out and you are greeted with a stark contrast. Camping is one of the best ways to experience the beauty, as you get to live right in the middle of it, with all the sounds and smells that come with it. Thanks to Blacks and the tent they provided us, we were able to do that with ease and it was a great start to what I am sure will be many more family campaign adventures in our future. Take a look at our camping gift guide for some great camping related gift ideas. Camping in this picturesque landscape is a dream come true. Your baby is very cute! When’s the best time of the year to go there for camping, Dannii and Dave? That is one nice tent! I love the organizers on the front and the overall space you have. Your daughter seemed to love it as well! Avery looks like one happy baby! Beautiful scenery as well. 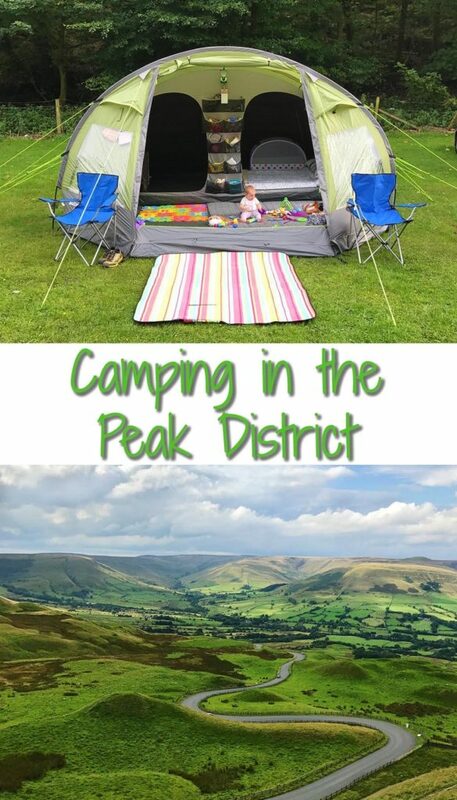 I would love to go camping in the Peak District. It’s so beautiful. Looks like you had a fab time. What a sad history that Village has, but I love visiting places like that and it makes you realise how lucky you are living in the U.K.
Wow, your tent is massive. I haven’t been camping since my third baby, sonwe would need something big like this. It does look so amazing and lush out there. I love the way that moss grows over everything. And the tent looks marvelous. Nice and spacious. It looks a lot like the one I had when I married my ex. Was nice to have such a nice big tent. Boy that’s a huge tent! It sees to have been really comfy. Your baby girl is such a happy baby! So cute. And finally your trip seemed to have been a rewarding one. Love all of the scenic shots. I’ll have to do some research on the Hancock family, as I have never heard their story before now. Now THIS is my kind of camping! You’ve make a lush tent/home, something I could see myself doing. Also, your baba is sooooo cute!